Last week, Captain Cavedweller and I had a few days off and he took me to the big city where there were multiple malls, yummy places to eat and fun things to see and do. It was wonderful. On the morning we were getting ready to come home, we skipped the hotel breakfast and went to a restaurant around the corner. Walking in the door, I was quite excited by a sign that said they had pumpkin pancakes. For a girl who loves pumpkin, this was a great way to start off my day. We placed our orders and sat chatting, waiting for the food to come. Our waitress was friendly and polite, checking on us often to make sure we were fine as we waited. 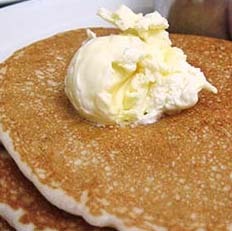 Then she came bearing a plate full of delicious smelling pancakes with a beautiful ball of whipped butter on top. • The waitress started to set down the plate of pancakes in front of me. • The butter became airborne. Literally. According to CC – it actually launched off the plate and flew through the air. • Eyes as wide as saucers, I grasped for the butter, catching the whipped ball in my hand. But not before it had slid down my silk shirt and front of my jacket. The poor waitress looked mortified as I held the butter in my hand. Let me tell you, there are not enough napkins in the world to make a mess that monumental all disappear. She ran to the kitchen and returned with a wet towel. Afraid to smear in the butter, I carefully blotted what I could, told her not to worry about it and enjoyed some really tasty pumpkin pancakes with cinnamon whipped cream. Because I was now walking across the hotel parking lot drenched in butter and somewhat annoyed. It wasn’t the waitresses fault, but I didn’t think CC needed to find the whole thing quite so amusing. Returning to the room, I dug to the bottom of my suitcase to find two Shout wipes and gently wiped off the excess butter. Rolling up my shirt and jacket, I put them in our dirty clothes bag, hoping a miracle would occur and the stains would be gone when we got home. Lucky for me, we had gone shopping the previous day and I had some new clothes to wear. When we got home, the butter stains were worse, instead of better. So I whipped out my bottle of Dawn dishwashing liquid and liberally applied it to the butter-stained areas. I rubbed it in gently, rolled the clothes back up and let them sit overnight. 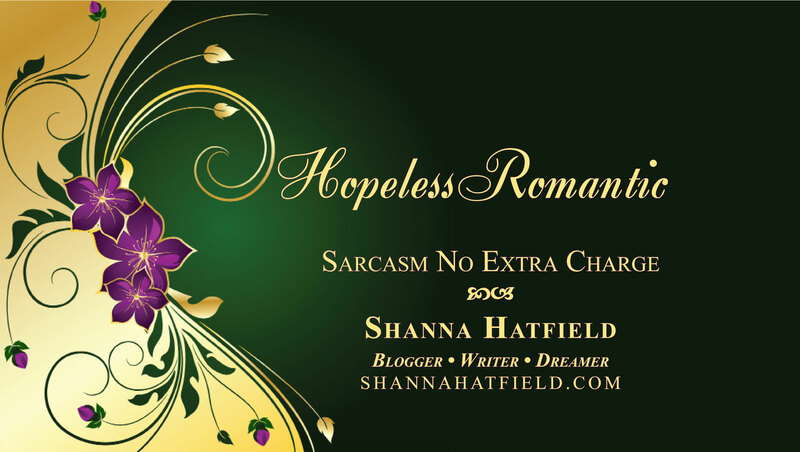 I washed them in warm water and voila – the stains are gone! So the moral of this story is always make sure you’ve gone shopping and have new clothes to wear before you eat breakfast – just in case there is any flying butter. They were really good pancakes, Rebekah, just not sure they were worth wearing butter over! 😉 Happy New Year to you!